Here at SparkPost, we’re afire with innovation. Thats why today we’re presenting our new skunkworks project: SparkPost Smoke Signal protocol (S-SSP). Although it’s a non-obvious solution, many would consider it is a predestined one. Foreshadowed by the SparkPost logo, S-SSP is the newest addition to SparkPost’s flaming-edge, multichannel messaging capability. 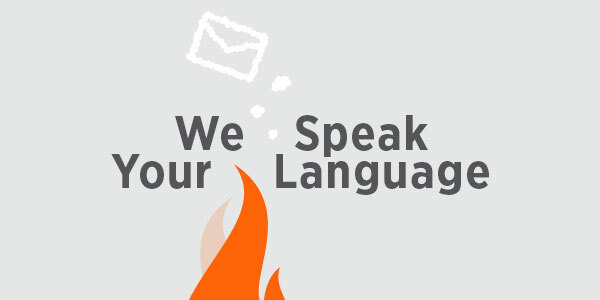 SparkPost SSP is a low level transport methodology for the encapsulation of SparkPost API using smoke signals as its carrier. Smoke Signal Protocol (SSP) is one of the oldest forms of long-distance communication, and is primarily useful in country or rural area networks. It is widely known that the 1990 protocol RFC1149 Transmission of IP Datagrams on Avian Carriers is for the birds and solves a primarily urban area problem which addresses only 2.62% of the United States total land area. Carrier Sense Multiple Access with Collision Detection CSMA/CD is a very widely used protocol and is probably most well known as Ethernet (IEEE 802.3). CSMA/CD manages collision avoidance via random transmit back-off based upon collision detection and congestion tone detection. SSP has overcome such limitations through third dimensional spacial separation. Modulations like QAM also produce an N-Dimension encoding which enables the encoding of points in an arbitrary set of planes. But SSP is a delicious system designed to physically live on a plain where the buffalo roam, where the physical world is a first-order consideration. SSP comes with the added benefit of being able to make S’mores with the signaling source often embodied as a bonfire. Further, SSP is being far more scenic than similar IPv6 Scenic Routing scheme in that SSP is at home on the range. The reader of this document ought to familiarize themselves with the common key words in RFC (RFC2119). More importantly, they should consider “Further Key Words for Use in RFCs to Indicate Requirement Levels” (RFC6919). In particular the key words “MUST (BUT WE KNOW YOU WON’T),” “SHOULD CONSIDER,” “REALLY SHOULD NOT,” “OUGHT TO,” “WOULD PROBABLY,” “MAY WISH TO,” “COULD,” “POSSIBLE,” and “MIGHT” in this document are to be interpreted as described in previously referenced RFC 6919. The SparkPost UTF-8 encoded JSON octets are smoke width modulated (SWM) onto billows of escaping gases formed from combustion. It is most common to implement SSP with the two dimensional encoding Polybius. In S-SSP encoding is done with binary encoding where each UTF-8 octet uses clear_stuff (bit0) and smoke_stuff (bit1). Convection currents propagate the signal through a medium such as thin air. The encoding uses SWM and when the function domain is time, smoke rates are usually expressed in smoke/second but when the function domain is distance, as in a smoke sampling system (reception), the smoke rate might be carbon parts per million and the corresponding Nyquist frequency would be in carbon density/meter. Upon receipt through optical receptors the signal is transcoded to digital representation by a neural network like a human brain and placed onto a computer medium via digital encoding for transmission over the Internet. Due to inherent BAUD rate limitations trellis coded modulation (TCM) can be introduced to improve signal efficiencies with the trade-off of memory and processor efficiency. Extensive research by Polybius (et al) has shown that Polybius Square can also be used in SSP to greatly improve efficiency. The currently defined code blocks are not suitable for UTF-8 but additional research may find equivalent improvements. For the keen reader RFC5984 is not overlooked and is considered later in this document to remove the constraint of finite bandwidth. As one would expect with a protocol like SSP there is an unfortunate collision of acronyms with standard telecommunications signaling systems and SSP. Fast Fourier transform (FFT) which computes the discrete Fourier transform (DFT) of a sequence, or its inverse form it originating domain, which is often time and space, into a frequency domain representations. In SSP FFT can refer to a Fast Fourier transform or a Field Flapping Tarp (FFT) which is used for the modulation of the signal. A Field Flapping Tarp is literally a tarp used to shunt out smoke generation to form clear_stuff (bit0). When studying SSP you must consider the context with which FFT is used. The simple formulas give a best-case approximation of the maximum propagation distance but are not sufficient to estimate the quality of service at any location. The SSP horizon is the locus of points at which direct visualization of the signal are tangential to the surface of the terrestrial body. If the terrestrial body were a perfect sphere and there were no atmosphere the SSP horizon would be a circle. Earth bulge is a term used in communications. It refers to the circular segment of earth profile which blocks off long distance communications. Since the geometric line of sight passes at varying heights over the Earth, the propagating smoke signal encounters slightly different propagation conditions over the path. The usual effect of the declining pressure of the atmosphere with height is to bend signal down toward the surface of the Earth, effectively increasing the Earth’s radius, and the distance to the signal horizon, by a factor around 4/3.This k-factor can change from its average value depending on weather. Early research used SSP with signal relays to significantly increase its operating range and demonstrated in real world environment (see Great Wall) the transmission of a message as far away as 750 kilometers (470 mi) in just a few hours. Unlimited range could be achieved by retro fitting RFC5984 with SSP. Appropriate application of RFC5984 would allow SSP to achieve infinite bandwidth and FTL communications (RFC6921). Gravitational environments greatly effect SSP transmission patterns. In a gravitational environment like earth, convection currents produce a primarily unidirectional elevating signal. This allows the system to use less energy to propagate the signal at further distances. The primary limitation of this configuration is the beta of air density as signal propagates to higher altitudes or gusts that perturb the signal. It also introduces self interference patterns due to signal congestion. For that reason SSP might be more feasible as a terrestrial protocol. It is hoped that those with a burning desire to study this in micro-gravity research will help to find better algorithms and solutions for setting things ablaze in space. The terrestrial deployment of SSP on planets similar to Earth the signal drifts is proportional to cross windspeed. As long as the signal does not become too perturbed it is not seen as a major limitation for SSP and in some cases increases transmission range. Forest fires effectively jam all SSP propagation through signal saturation. Rain is another effective form of jamming and is caused by yet another form of saturation. Carrier signal generation is best formed from fuel sources with a high carbon content. Those carbon based fuel sources are know to be a source of green house gas which is attributed to global warming. An advanced application of the SSP signal source might be leverage for HTCPCP (RFC2334) and the more advanced HTCPCP-TEA (RFC7168). It is beyond the scope of this document to outline how that might work in application. It is just merely pointed out here that it is a natural extension to a protocol built on smoke and mirrors as SSP obviously is. Security is not generally a problem in normal operations, but special measures must be taken (such as data encryption) when SSP is used in a tactical environment. Commonly non military users of SSP are often subject to the “The NSA Certificate Extension” (RFC7169). SSP should not be adapted for use in Personal Area Networks (PAN). These types of networks are gaining wide spread adoption with the uptake of IoT technologies. At this time SSP as a PAN appears to be a hard limitation. Starting fires in consumers’ pockets is globally frowned upon. AeroGel does show some promise as an adequate insulator but much more research is required and not viable in the foreseeable future. It is readily admitted, unlike United States Code Title 35 (USC35) as defined in MPEP, that the references herein are used in the most obtuse and least scientific manner possible. Both USC35 and SSP have the similarity of being easily misinterpreted and prone to comedic relief while at times induce great woe when someone tries to actually implement or enforce them. This protocol makes the unfounded assumption that time is not just an illusion. Also that all life, or information for that matter, is not merely a three-dimensional holographic projection on a two-dimensional plane near an event horizon. The author also assumes that the sum of all natural numbers (from 1 to infinity) produces the answer -1/12.